The GSO Newton 150/750 mm F5 is a very bright instrument, it can be used both for visual or observation but also for photographic use. It is equipped with Crayford focuser with 50,8mm to 31,8mm. The vixen rings and dovetail bar are supplied as standard and allow the optics to be installed on any mount on the market. It also comes with a 6x30 star finder that allows you to point and search for objects more easily. 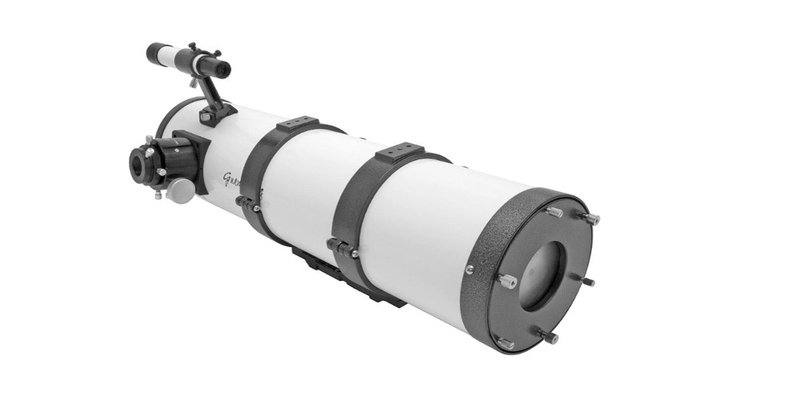 This Newton GSO 150/750 F / 5 is a very bright reflector ideal both for the visual and observation of deep-sky objects but also for moon and planets. It can also be used for deep-sky astrophotography or high resolution of Moon and planets. It is very light and therefore easily transportable, it can be mounted on very small mount like an EQ3. Ideal for those who want to start with the first observations or astroimaging.